A recent episode of the popular Unwrapped program on the Food Network caught my attention when they featured the Spiral or aka Tornado fries. It immediately inspired me to make these deep-fry taters as they certainly looked interesting and fun to eat. Arrange the fries on it in a single layer. Sprinkle 1/2 cup of olive oil over the top of the fries. Sprinkle 1/2 cup of olive oil over the top of the fries. 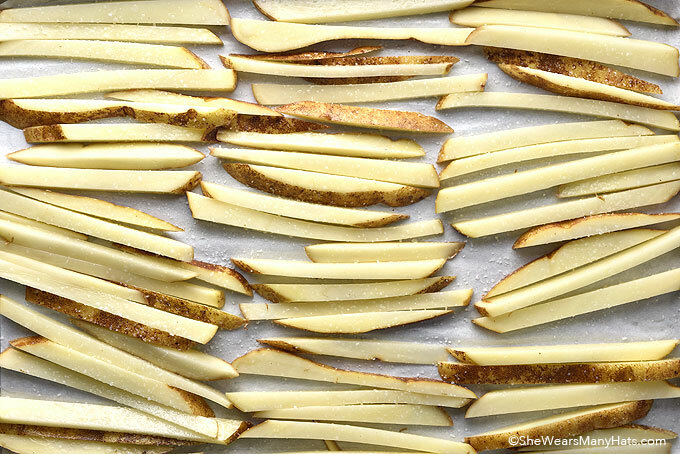 Bake the fries for 25 to 30 minutes or until they are soft and the tips begin to brown.